Auckland's metropolitan urban limit acted as an artificial land supply constraint, helping turbocharge then gold plate those capital gains. But is that about to change? Building and Housing Minister Nick Smith would certainly like it to. He'll have his work cut out making a success of the recently created special housing areas and the Government's housing accord with Auckland Mayor Len Brown. Developers and council planners have sidelined the community over building heights for some new projects, say worried residents. 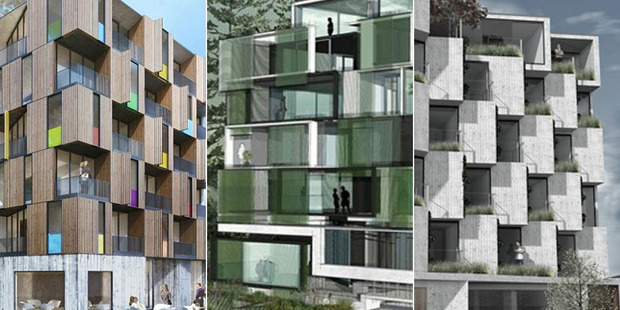 Is six storeys the new height for apartment buildings in zones approved for four storeys? The question is being posed by inner-city residents in Grey Lynn and Arch Hill, who say they have had no say about five and six-storey apartment buildings approved on Great North Rd. It was residents who last year came up with the idea of making the car yards and light industry on Great North Rd a showcase for intensification. A year on, some feel developers propose, and council planners approve, intensification well beyond what the community had in mind. The feeling of being sidelined comes as the council prepares for hearings on its Unitary Plan, the rulebook that sets out how Auckland will squeeze in another million residents over 30 years. Grey Lynn Residents' Association chairman Dan Salmon says the community was "sold a cool restaurant but is getting a McDonald's". He is referring to the vision of Great North Rd being turned into one of the city's great boulevards with bus lanes, cycleways and well-designed apartments generally sticking to the allowable four storeys in the existing district plan and proposed Unitary Plan. Not five- and six-storey apartment buildings being approved on the doorstep of heritage villas. 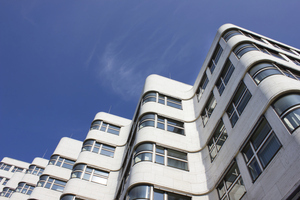 From left, S3 Architects, Matthews & Matthews Architects, Waterfall Gunns Lowe Architects. Hate apartment blocks? Then take a closer look at these five, shortlisted in a competition to win over Aucklanders sceptical about their city's intensification. 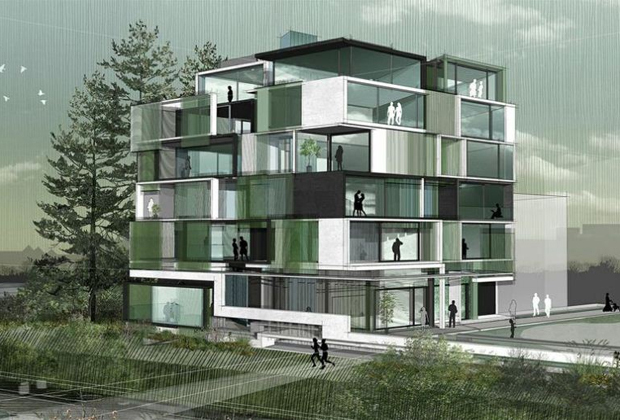 Auckland Council, the NZ Institute of Architects and developer Ockham Residential launched the results of the apartment design competition to convince Aucklanders of the benefits of good blocks. 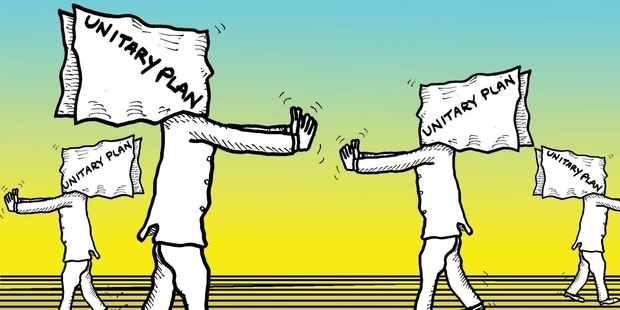 But Richard Burton of anti-intensification lobby group Auckland 2040 doubted the scheme would work and said the council had only acted because it was suffering a public backlash against the Unitary Plan. Housing New Zealand wants to lift building restrictions around hundreds of its historic and "special character" homes across Auckland to allow for development. The proposal was made as part of the corporation's wide-ranging submission on Auckland Council's proposed Unitary Plan. 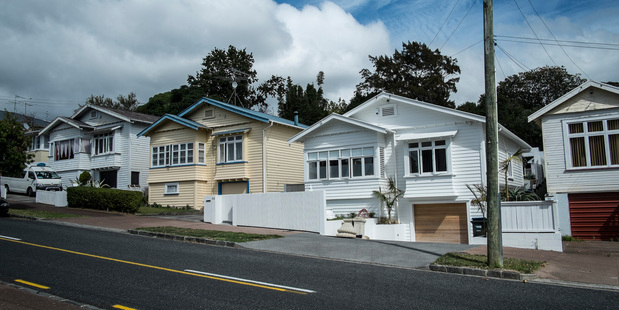 It has drawn criticism from several of the city's residents organisations, which are battling to keep protections around older Auckland villas and bungalows in place. • Identified as adding "special character" to specific neighbourhoods and business areas. • Assessed as having significant heritage value. The rules in each category also differ for each area and depend on the use of the property. Mt Eden, Grey Lynn and Herne Bay have been identified as special character suburbs, and other suburbs, like Westmere, have extensive groupings of pre-1944 bungalows. In Auckland, 22 per cent of HNZ's terraced housing and apartments were built before 1944, while 31 per cent of its mixed housing dwellings in urban areas and about 14 per cent in suburban areas and single house zones also fell into the category. HNZ has not said if it intends to sell the properties if the limits are lifted and told the Herald it was not seeking to increase sale values. An Auckland developer appears to have council support for a seven-storey apartment building in a four-storey zone that could set a precedent for greater intensification across the city. Greer Stephens says council officers have indicated they would look favourably on an application for a seven-storey apartment building at Great North Rd in Grey Lynn on condition it was of a higher quality design. Mr Stephens originally presented a five-storey proposal with 20 apartments, which has become a seven-storey proposal with 30 apartments that exceeds the height restrictions by about 8m and is double the allowable floor size. 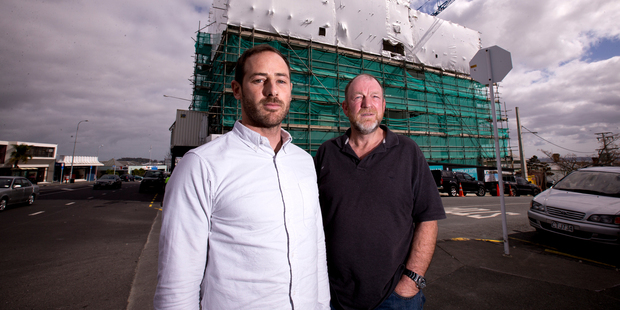 The proposal has outraged Grey Lynn and Arch Hill residents who want to see Great North Rd become a showcase for inner city intensification with a mix of apartments and small business complying with a four-storey height limit in the draft Unitary Plan. 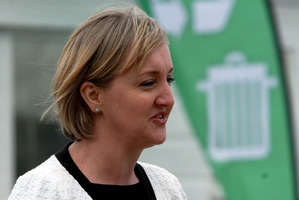 Environment Minister Amy Adams is seeking major changes to the Auckland Unitary Plan, which she says will not provide enough houses and make housing even more unaffordable in its current form. In a cabinet-approved submission on the new planning rulebook for the Super City, Ms Adams says failure to make changes could have far-reaching economic and social consequences for Auckland and New Zealand. She said the original objectives for a quality compact and design-led approach had been "betrayed" by overly-complex policies, overlays and rules. "I seek the removal or loosening of prescriptive provisions in the proposed Auckland Unitary Plan where they are not supported and justified by evidence and analysis," she said. Ms Adams highlighted a requirement for affordable housing in large-scale developments, the need for people to seek iwi approval on thousands of sites, a pre-144 heritage overlay and sustainable building requirements. City planners are eyeing almost 16,000 new homes across Greater Auckland — the equivalent of a town the size of Cambridge — to attack the city's housing shortage. But as details emerge of apartment buildings up to six storeys high, neighbours have reacted with shock. Some say they have objected to Auckland Council but several others told the Weekend Herald they had no idea that tower blocks were about to rise near their often single-level homes. 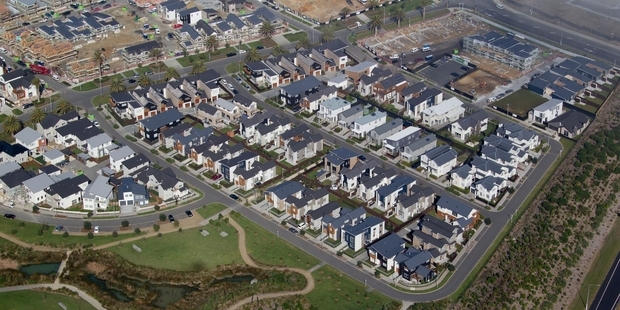 The council is planning 15,585 new dwellings (mainly terraced houses and apartments) across 22 Special Housing Areas (SHAs) under the new Auckland Housing Accord between the Government and council. The accord aims to provide a total of 39,000 new places within three years to address the city's housing shortage and affordability problems. But to speed up development, the Special Housing Areas will not be subject to the usual objection rights for nearby residents — to the outrage of many neighbours who were unaware of the plans when the Weekend Herald visited this week. 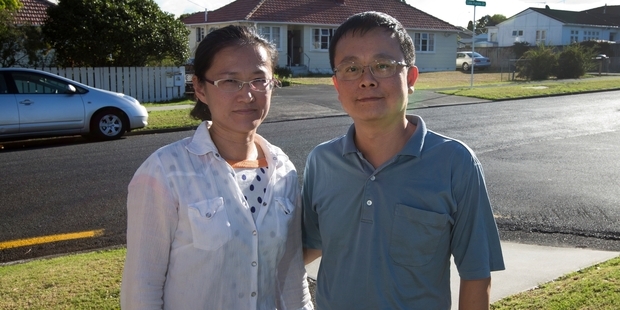 "If we wanted to build an apartment, I'm sure I would have to go through more," said Wen Chang, opposite Housing New Zealand's 70-unit Takapuna scheme on the corner of Lake Pupuke Drive and Killarney St. "Traffic is already so busy here." "I'm aghast, outraged and shocked," said one resident. Another was stunned to learn of the plan for 70 units up to six levels high. Others said they liked being so close to Takapuna's heart but feared for their area. They had been notified, but because the developments are meant to go ahead quickly, people's rights to object — or sometimes even know in advance what is about to be approved — are limited. The neighbours of a planned development in Takapuna are in "a state of shock" after seeing the developer's plans. C K Miracle Ltd, the developer who owns 28-34 Killarney St, wants to build a six-storey 44-apartment block, but neighbours are crying foul. Roger Stevens, who lives on Auburn St, just around the corner from the proposed development, says right up until last week the council had assured residents no building would be over four stories high. But residents were horrified to discover developers can build up to six storeys, Mr Stevens says. An anonymous tip-off just a day before a non-notified hearing left residents scrambling to present their case, much to the council's and the developer's surprise, Mr Stevens says. "Council was a little bit stunned that we turned up. They expected it to be rubber-stamped, they didn't expect their cosy relationship to be disrupted," he says. Under the Anzac St West precinct plan, which is in force until the adoption of the Unitary Plan, exemptions exist for higher buildings. An intensive housing precinct on a swathe of land running from Anzac St through Lomond St to Killarney St is planned. Designated laneway areas running down the middle of the precinct allow for a "bonus provision" of two extra storeys on buildings right up to the edge of the laneway zone which overlays property boundaries. Norita Duncan, who has lived at 36 Killarney St for 39 years, says she's "in a state of shock. I couldn't believe what I was looking at." Her one-storey home, only separated by a driveway from the apartments, would lose sun for most of the day. And the residents say the proposed building has inadequate parking which will cause traffic chaos on the surrounding streets. Plans show a two-level parking basement would provide residents with 58 car parks, suitable for small to medium-sized cars. The apartment's neighbours say it's not enough, estimating many apartments will have two vehicles each, some of which are too big to fit underground, choking already stretched off-street parking. Stan Smith, who has lived with his wife Jean at 46 Killarney St for 32 years, agrees intensive housing needs to be built, but the plans go too far. "I'm happy with four storeys, but six is just not on," he says. Following the consent hearing, the residents group is "awaiting consultation" from the council, Mr Stevens says. Auckland Council has yet to respond to inquiries from the North Shore Times. Proper process to identify valuable heritage must replace unfair scheduling of 3600 untested places. Hopefully Alf Filipaina, chairman of Auckland Council's Unitary Plan committee, is right when he wrote in Wednesday's Herald that most Aucklanders want to protect our cultural heritage and values with rules "workable and fair to all". Unfortunately, the huge expansion of the Cultural Impact Assessment (CIA) process he is promoting is neither workable nor fair. Last week, I quoted Unitary Plan manager John Duguid admitting the 3600 additional sites to be added to the plan had been identified by archaeologists over many years, but were poorly mapped and some were simply wrong. In response, the NZ Archaeological Association (NZAA) sent me a copy of its submission, which underlines just how wrong and untested the "new" sites are. They've been "effectively scheduled without any prior assessment and in many cases without confirmation of the presence, exact location and extent of the sites". The archaeologists further warn that if the new sites are included in the final plan, it will "impose considerable (and for the most part, unnecessary) costs on landowners and land managers and because of this will erode public support for archaeology". And, one surmises, heritage. Which is just the reverse of what Mr Filipaina is hoping for. The new sites were lifted from the NZAA's historic index of archeological sites relating to Maori occupation. It's a grab-bag of sites built up over many years but, apart from a few exceptions, the entries "have undergone no evaluation process". In addition to pre-1900 archaeological sites it includes "sites that have been destroyed since they were recorded, possible rather than proven archaeological sites, botanical sites that may or may not indicate early settlement, historically reported sites that may have no physical remains or where the precise location is not known, and sites post-dating 1900 that have archeological value". If they had checked, they would have found that "many of the sites are small shell middens, most of which do not appear to have any associated settlement remains. They are generally of low to moderate archaeological significance and would not meet the historic heritage criteria for scheduling in the proposed Auckland Unitary Plan." The NZAA says that on past experience, small isolated shell middens have not been seen as having high cultural significance by mana whenua. The association also complains that despite most of the 3600 sites being small middens, each becomes the centre of a 300m-diameter heritage circle, potentially affecting dozens of adjacent properties. Each would, if planning redevelopment, have to go through the hassle and expense of seeking out a CIA. The NZAA proposes an alternative, something that should have occurred decades ago - a full process of consultation with all mana whenua groups in the Auckland area to identify sites of high cultural significance to them. Sites that merit scheduling should then be included in the Unitary Plan in a future plan change - not just archaeological sites but others of cultural significance which have no archaeological remains. Auckland politicians have been notoriously lax in preserving the past. Old buildings, even our precious volcanic cones, have been no match for the God of Progress, so it goes against the grain to knock any signs of a change of heart. But the present stunt of drawing 3600 new heritage sites out of an old filing cabinet - the vast majority of which will prove to be false alarms - won't advance the heritage cause. It will succeed only in reviving the bad old anti-heritage instincts.